Who knew, as we strolled past Alex Eagle’s concept store in the heart of Soho, that beneath the pavements some very excellent treatments take place? The main challenge en route to the basement Face Place at The Practice Clinic – which is an outpost of a renowned A-list West Hollywood skin destination – is just getting past all the shopportunities upstairs, without being late for your appointment: candles, glassware, clothes, too-cool-for-school magazines and more. Then for a bit of ‘mummification’. Packs soaked in zinc/magnesium and vitamin C are layered on the face, and ‘that mask’ – leather, and not exactly featherweight – is placed over the top. The current to the mask is then dialled up, sending little galvanic pulses to the skin. It tingles a bit, but the idea is to stimulate the facial tissue in order to deliver the cargo of skin-brightening ingredients. In truth, we couldn’t take this for the full 15 minutes (a touch of claustrophobia crept in), and wimped out after about 10. But it didn’t impact on the quite outstanding results – and our therapist then kindly and capably delivered a few minutes of world-class, circulation-boosting facial massage, instead. And while the mask was in place, the therapist was in no way twiddling her thumbs, but delivering a fantastic hand and arm massage. We couldn’t wait to see the results – and they were absolutely fantastic. Brighter, smoother skin – not a pore in sight – with redness reduced, puffiness gone, and a general glow that had people saying, ‘Gosh, you look well’ all day long (and beyond). 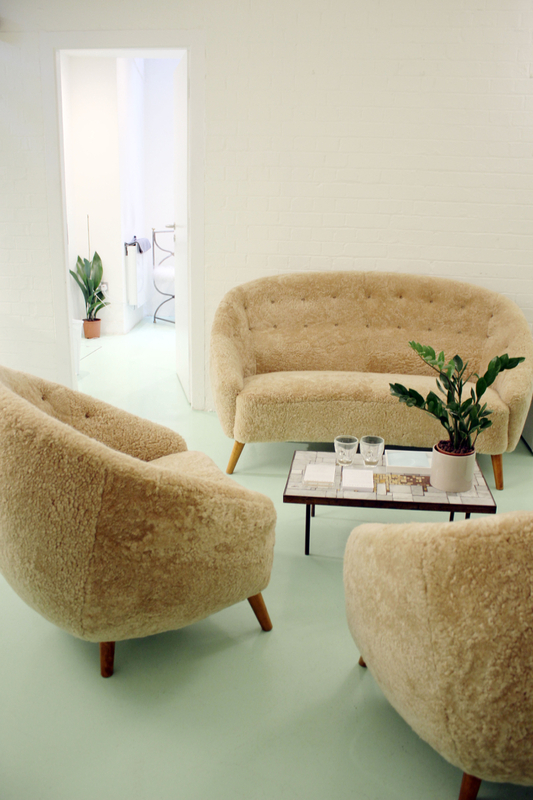 The merest touch of lipstick, mascara and eyeliner while we sunk into the sheepskin chairs in the chill-out area with a cup of herbal tea, and we were ready to face Soho and the world – no foundation required (the true test, for us). The bottom line for any facial, with us, is: would we go back? Not just for a free trial (as this was), but paying with our own hard-earned dosh?